HISTORICALL, ITALIAN FOOTBALL has had a conflicted relationship with the concept of flair. The creatives of calcio have been both endangered and exalted, endured and enjoyed. Rarely has their position been one of security; indeed, they have often trodden a fine line between scapegoat and hero. But, in spite of the strange concoction of suspicion and adoration surrounding their presence, there has been no shortfall of great Italian Fantasisti. The 1990s were a wonderful time for Serie A in many different ways. In this decade, the league became home to the world’s finest players. Italian clubs invested heavily in the process; of the nine world record transfer fees in this time period, they paid six of them. There were Italian sides in eight of the 10 European Cup or Champions League finals, with Fabio Capello’s AC Milan and Marcello Lippi’s Juventus leaving particularly notable impressions on the continent. This decade is special not just for the great teams and international stars and innovative coaches, however. For the 1990s also saw the emergence of not one, but two iconic fantasisti on the peninsula. With Francesco Totti and Alessandro Del Piero setting out on storied careers, Italian football was suddenly luxuriant with artistry, ingenuity and vision. Their simultaneous development would lead to occasional awkwardness and frequent exhilaration. As a boy, Francesco Totti loved Roma. He also loved Giuseppe Giannini, a playmaker known as ‘The Prince’ who starred for the Giallorossi in the 1980s and ‘90s. Totti had posters of his hero on his bedroom wall and dreamed of following in his footsteps as he dribbled up and down Via Vetulonia on a belly full of Nutella sandwiches. And in order for the dream to become reality, there was only one team he could possibly play for. Totti was offered the opportunity to play for Lazio after helping Lodigiani to a 2-0 win over them in a youth tournament, but the notion of signing for Roma’s loathed rivals simply wasn’t a viable one. He waited and hoped and eventually the correct club came calling. In 1989, he became a Roma player and, four years later, he was operating alongside Giannini. On 28 March 1993 then-Roma coach Vujadin Boškov gestured to the substitute’s bench. His side were 2-0 up away to Brescia and he wanted Totti to warm up. The player, who was just 16-years-old at the time, was stunned. But, once the shock had worn off, he made his way onto the pitch for his debut. A few months later, Alessandro Del Piero would make his debut for Juventus, however his path to the Bianconeri first team was more complicated. Safety was not Padova’s first concern, however. They were more interested in whisking off a 13-year-old Del Piero to their youth academy, which they successfully did in 1988, to develop his outfield qualities. In 1992 he made his maiden outing for the club’s first team, coming on as a substitute in a 1-0 defeat to Messina. Unlike Totti, he was a Serie B player to begin with, though not for long. After one full season of football in Italy’s second tier, he transferred to Juventus. And, on 12 September 1993, he made his first outing in black and white against Zdeněk Zeman’s Foggia. Del Piero’s career hinged on the fates of two Baggios. One was Roberto, a player considered to be the ultimate fantasista in Italy throughout the early 1990s. 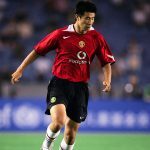 His brilliance on the field, coming in the form of mazy, whimsical dribbles, precise finishes and technical excellence, inspired unparalleled devotion from fans. He was recognised as more than a footballer; he was an artist, a spiritual being and an icon. To Juventus, he was integral, top-scoring for the club for four consecutive years between 1990 and 1994. The other Baggio was Dino, a hard-working midfielder who also played for Juve. In the summer of ’94, Del Piero was offered to Parma, who were interested in signing Dino. Initially, Dino wasn’t intent on leaving Turin but, after some thought, he agreed to the move. As a consequence of this change of heart, Del Piero would remain with the Bianconeri. But his future still looked uncertain. With Roberto Baggio up front alongside the likes of Gianluca Vialli and Fabrizio Ravanelli, space in the first team looked tight. However, with injuries disrupting the former, Del Piero was handed more opportunities during 1994-95. Scoring 11 goals in all competitions, one of which was a sublime match-winning volley against rivals Fiorentina, he asserted himself upon the team, encouraging Marcello Lippi to make a controversial decision. Just like Dino, Roberto Baggio was moved on. Del Piero inherited Baggio’s number 10 shirt and formed a fluid, energetic attacking trident alongside Vialli and Ravanelli that helped Juventus to Champions League victory in 1996. 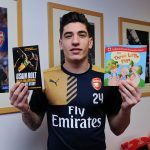 The young star’s performances were infused with an efficiency, a seeming desire to get somewhere – usually somewhere in and around the opposition’s penalty box – as quickly as possible. His was a rational style, one that called upon fast decision-making and intelligent movements. 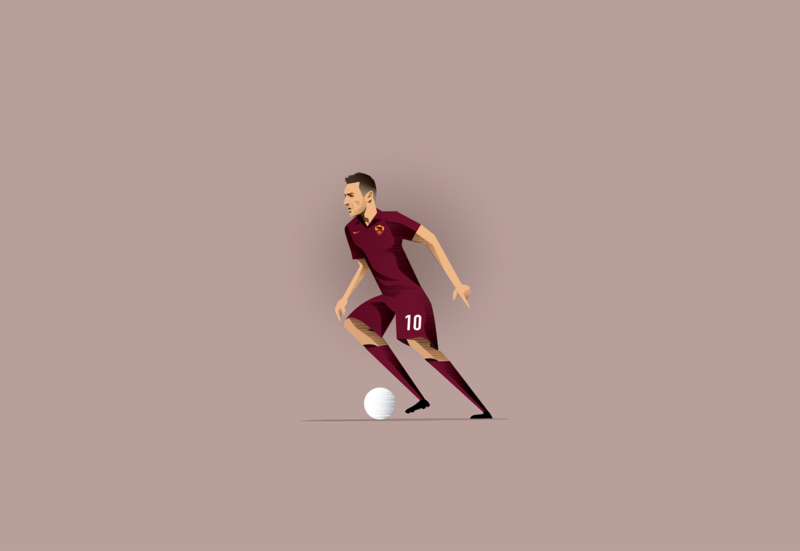 Contrasting Del Piero’s constant whirring and busyness was Totti’s languid elegance. While the Juventus star had chosen the most logical career path, Totti ran on a purely emotional energy. He had committed his life to Roma from an early age and his simplistic love for the football was evidenced in his more relaxed demeanour. On and off the pitch, Del Piero’s game was one of the head, but Totti’s was always one of the heart. As such, it is perhaps no surprise with hindsight that it took him longer to thrive. It’s also no surprise that he only truly began to make waves with Roma under Zeman, a footballing purist without compare whose primary fascinations lay in scoring goals in the most beautiful way possible. Efficiency was undesirable to the Czech; he had all the time in the world for Totti’s extravagant impulses. At club level, Del Piero and Totti were friendly competitors, with both leading their respective teams to titles. The former top-scored for and eventually captained Juventus as they won two straight championships and reached three successive Champions League finals, while the latter – as part of an elite attacking trident that also included the ruthless Vincenzo Montella and the relentless Gabriel Batistuta – helped to end an 18-year wait as Roma won their third-ever Scudetto in 2001. However, at international level, the two great number 10s were drawn into an age-old debate. For the 1970 World Cup, Italy national team coach Ferruccio Valcareggi came up with the staffetta to end the debate over which one out of AC Milan’s Gianni Rivera and Inter Milan’s Sandro Mazzola should play. Both were fantasisti, both were leaders, and both were outstanding footballers of sumptuous subtlety. But with calcio’s Catenaccio leanings at the time, there was, at best, unease at the thought of both playing together in the same team. Valcarreggi’s staffetta – or relay – meant each player would play 45 minutes of every game – one on, one off. This uncertainty over how much creativity should be incorporated in the Italy line-up continued long after Rivera and Mazzola had retired, with Totti and Del Piero reviving the debate in the 1990s and early 2000s. Del Piero made his Azzurri bow in 1995 and went to the 1996 European Championships while Totti was still figuring out his place in Roma’s team. However, the Juventus man struggled to perform in the international arena. By contrast Totti, after debuting for Italy in 1998, starred at Euro 2000, scoring a magnificent cucchiaio from the penalty spot in the semi-final victory over the Netherlands and establishing himself as a star outside of his home country. 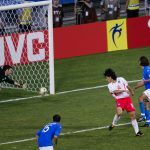 In the final of that same tournament, Del Piero fluffed his lines, missing several key chances as Italy lost to France and subsequently receiving blame for the defeat. Both Totti and Del Piero would go on to play their part in Italy’s 2006 World Cup success. Indeed, the Juventus man’s goal in the dying embers of the semi-final win over Germany was one of the most memorable moments, and typically epic Italian counter-attacks, in recent times. The two players shared the spotlight and sparked unwinnable arguments about who was greater. Del Piero won more leagues but did so with a traditionally more successful team. Totti made more of an impact internationally but achieved little in continental club competition. Beyond the discussions, beyond the goals, dummies, turns and passes, they both left legacies of loyalty. Del Piero, while made in the Veneto and a product of Padova, became a Juventus legend. He overcame injuries, doubts and unfair comparisons with the greats of yesteryear to shoulder the Bianconeri’s number 10 shirt with dignity, even remaining with the club after their demotion to Serie B following the calciopoli scandal. He eventually left for Sydney, though not before he had returned the club to the top of Serie A.
Totti, a Romanista to the core, remains with Roma to this day. While his old international colleague, club competitor and fellow fantasista has shuffled off into retirement, Totti continues to befuddle defences aged 40. Perhaps his longevity can be attributed to that emotional energy that pulses through his every performance. Never seen as the most intellectual of players, he carries on playing, heart-first. Last term, with his future uncertain, Totti made grown men cry by coming off the bench to score twice and lead Roma to a 3-2 win over Torino at the Stadio Olimpico. Seemingly ageless, he has the eternal last laugh. Del Piero and Totti were, ultimately, different players. Stylistically the former was more predatory, a striker who worked hard and had the close control to play in deeper, tighter pockets of space. The latter’s natural preference was and is to roam free, to wander where the ball takes him. It’s a proclivity that his club has indulged more and more over the years. Perhaps what is most noteworthy is that these two fantasisti, each with their own inimitable style, made their mark at a time of increasing systematisation. With the successes of Arrigo Sacchi’s Milan in the late-1980s came an increasing universalism as the notion that all players should be capable of both defending and attacking became more widespread in Italy. Thus the Football Italia years, while great for the spectator and for calcio in general, were theoretically dangerous for the fantasista. That Totti and Del Piero disproved the theory is testament to their greatness.